Fiction · Gwen B · In the Library · Mystery · Quick Read! As his window for solving both crimes narrows, Alex makes a desperate decision that goes against everything he believes—one that may alter the fate of the entire country. KILL ALEX CROSS is faster, more exciting, and more tightly wound than any Alex Cross thriller James Patterson has ever written. I am a very devoted fan of James Patterson. Ask anyone who knows me. I can’t wait to get my hands on his books. But, I was left a little disappointed with this one. He has great talent. But he didn’t show that much of it to me in this book. I’ve read all of his Alex Cross series mystery books and loved them. This one had no continuity and everything was left hanging at the end. No follow-up on the kidnapping, the terrorist portion made no sense, the mugging of his grandmother resulted in nothing and made no sense to me. Taking in her attacker was not a reasonable action. This one is okay, but not the best by far. The title led me to think it would be a better and more exciting read. As always, it was a quick read and it did have a few good twists and turns. But it could have been a lot better. Out of five stars, I will give it three. This was a good book, but just average as far as the Alex Cross books go. Definitely worth the read, though. I’m still one of his biggest fans! Fiction · Jean R · Mystery · Quick Read! Pumped for Murder by Elaine Viets is the latest novel in the Dead-End Job mystery series. The Dead-End Job series features Helen Hawthorne, a woman on the run from her past. Helen leaves her high-paying job in St. Louis and takes a series of low-paying jobs in Florida to avoid being found by her ex-husband. 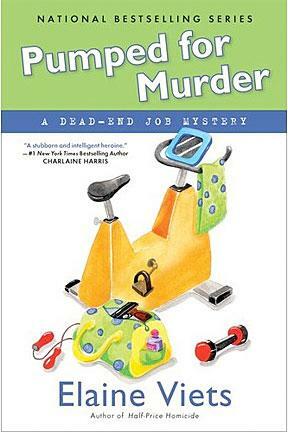 In Pumped for Murder, Helen takes a job at a Fitness Club. Where Helen works, murder is sure to follow. This novel involves the murder of a woman bodybuilder, a cheating husband, and a man looking for answers to his brother’s murder which occurred twenty-five years earlier. Elaine Viets now lives in Ft. Lauderdale, but was born and raised in St. Louis. Ms. Viets worked as a regular columnist for the St. Louis Post-Dispatch for many years before pursuing other career opportunities, including writing mystery novels. The six-toed cat, Thumbs, featured in the Dead-End Job novels is based on the cat of a former St. Louis Public Librarian, Anne Watts. Pumped for Murder is a quick, fun read. Helen Hawthorne is a quick-witted heroine who is surrounded by a cast of characters. There is her aging landlady who loves to wear the color purple. There is the neighbor who walks around with a parrot on her shoulder. And, there is Helen’s pet, the six-toed cat. This novel is suggested for anyone looking for a quick mystery and a little light reading. I picked up this book from my local library’s “Most Wanted” shelf. 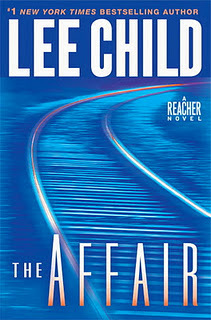 It turns out the book is the latest release in the popular Jack Reacher series by Lee Child. The story is set in a small town in northeastern Mississippi with an army base nearby. A 27-year-old woman has been viciously raped and murdered. A military cop, Jack Reacher’s gone undercover to monitor the investigation. It becomes apparent one of the officers in the army base is responsible. The complication is that the officer is the son of a powerful U.S. senator who is also the current chairman of the Senate Armed Forces Committee. Reacher is trying to uncover the truth and get justice for the victim while under direct order from the Pentagon to protect the U.S. Army’s interests. The story also involves a beautiful female local county sheriff who is a former U.S. Marines cop with secrets from her past. The dialogue in this book is short, clever and witty. The Affair is intriguing, multi-layered, and it kept me guessing until the end. This was a quick and enjoyable read. I will definitely try other books in the series. This book documents a personal journey on learning about type 2 diabetes and counterattacking the disease. The author chose a catchy title, understandably. 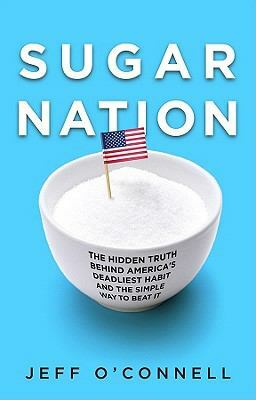 It offers sufficient coverage on sugar and sugar consumption in America. How many pounds of sugar are consumed per person per year? You don’t want to know. It’s a scary number. I have to admit, this book wasn’t the best choice with Thanksgiving right around the corner. Jeff O’Connell previously served as executive writer at Men’s Health. He’s tall, lean, and fit. After he learned that his estranged father had lost a leg to diabetes, he went for a physical and was stunned to find out that he is prediabetic. At the end of this eighteen-month journey, the author was able to reverse this serious diagnosis with diet and exercise. The book is full of practical advice and recommendations from the author and some of the best doctors in the country. What I like most about this book are the facts, statistics, and well-researched medical history. In 1898, Doctor Elliott Joslin founded America’s first diabetes clinic in his parents’ Boston town house at 81 Bay State Road. You can still visit it today. In January 1922, a fourteen-year-old boy named Leonard Thompson received the first shot of insulin. The Canadian scientist, Frederick Banting, won a Nobel Prize for his discovery of insulin. This book is recommended for anyone who wants to learn about type 2 diabetes or who enjoys medical/science history. Oh – don’t read it before the holidays ;-). I read the prequel to this book, The Magicians, when it first came out and while it was an entertaining read, I wasn’t “wowed” by it. 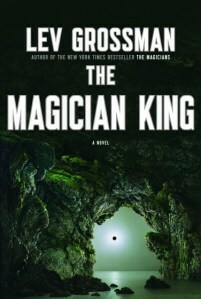 The Magicians was marketed as a darker and more mature version of Harry Potter. I think that was a little too ambitious. Anyway, I was curious to see where Grossman went with the story and his characters so I picked up the audiobook from the library. It took a little while for me to appreciate the narrator, but he did a great job capturing the voices of different characters and moving the story along. I got into the book quickly and was curious to see where things would end. Quentin is one of the kings of the magical world known as Fillory. He has been eager and ready for an adventure since he was declared one of the Fillorian kings. As always seems to be the case when people are desperately in need of a change, adventure manages to find Quentin. Quentin and his friend, Julia (a queen of Fillory), set out in search of a distant island and find themselves suddenly transported back to Earth – a place neither of them wants to be. The story goes back and forth between the present (as Quentin and Julia try desperately to get back to Fillory) and the past, which recounts how Julia acquired her magical powers in the first place. Grossman does a great job building anticipation to see where the story will take you. There were some parts that could be a little monotonous, but overall I really enjoyed it. The way the story ended, I’m curious if there’s a third book on the way. If so, I’ll be sure to pick it up. 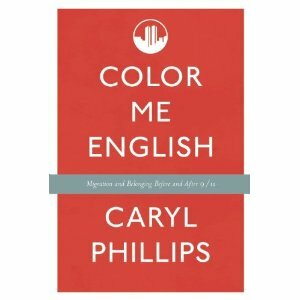 The author of Color Me English has an unusual background, a blessing for a writer. He was born in the Caribbean and raised in Britain. He studied English Literature at Oxford and has lived here in the United States since 1990. This book is a collection of essays on race, politics, literature, music and travel. I really enjoyed it. The essays are interesting, informative and thought-provoking. Having somebody trustworthy to delve in libraries, deal with the intricacies of inter-library loan, do Xeroxing, and find answers to questions of a factual nature is a blessing that I am grateful for. It is true to say that I could do most of it myself, but if I find myself sitting in a hotel room on the other side of the world, and I need some information immediately, it helps to have a capable and efficient person at the end of the phone. Cats! · Fiction · Jean R · Mystery · Quick Read! The Cat Who Went Up the Creek is the 24th novel in Lilian Jackson Braun’s Cat Who series. This series features journalist, James Mackintosh “Qwill” Qwilleran, and his two Siamese cats, Koko and Yum Yum. In each of the Cat Who novels, there is a murder which is solved with the assistance of Qwill’s two cats. In The Cat Who Went Up the Creek, Qwill and his cats are staying at the Nutcracker Inn on Black Creek. During his stay, he finds a body floating down the creek. There is more death and mayhem to follow. Lilian Jackson Braun (1913-2011) wrote 29 Cat Who novels. 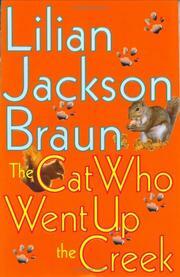 Ms. Braun wrote the first Cat Who novel in 1966 and the last one in 2007. Ms. Braun took an 18 year break between the first three novels in the series and the last twenty-six novels in the series. She thought that her novels were not appreciated because her novels do not feature offensive language or sexual escapades. However, the premise of cats helping to solve mysteries was just too good to abandon. After reading several Cat Who titles, I realized that I wasn’t really reading these novels for the mysteries, which are mediocre. I was reading to find out what was happening to the characters that I met in the previous novels. The characters become like family members. However, the reader should be careful about becoming too attached to a character. That character may end up dead in the next novel! This series is recommended for anyone who wants a quick read and/or enjoys quirky characters.